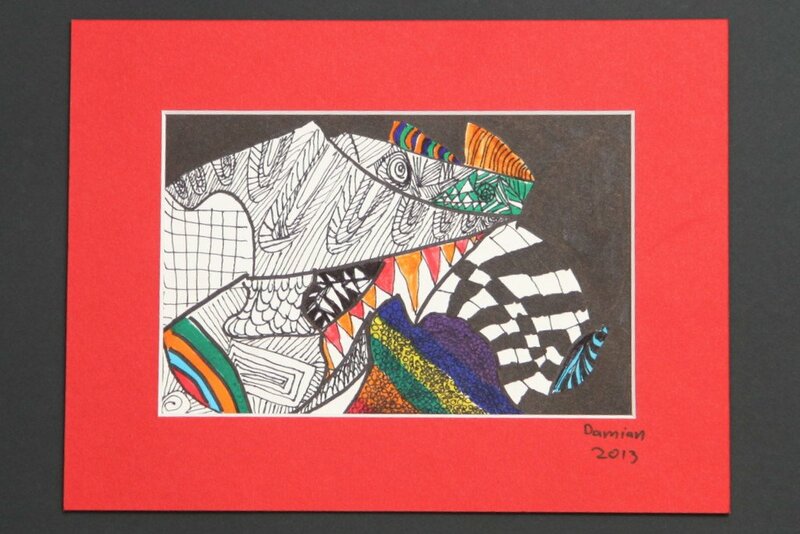 Our Grade 5 and 6 students have been drawing in the Zentangle style over the past few weeks. 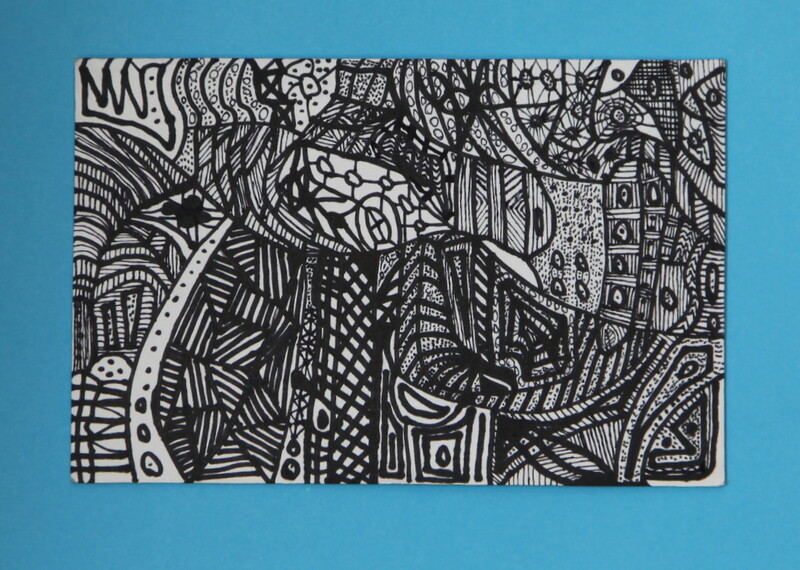 We are very proud of all of our students who have been very focused on creating new patterns and enjoying the freedom that Zentangling brings. Some students have continued this style of drawing outside Art classes and have brought their completed pieces in to show us. 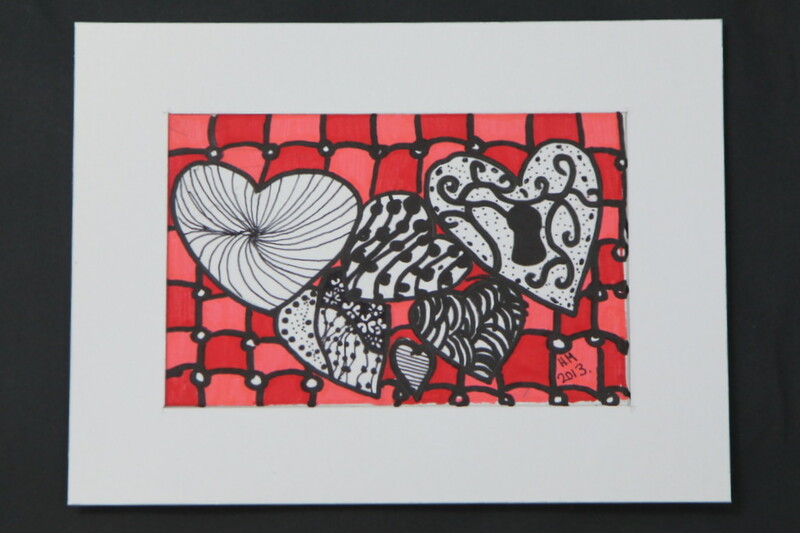 The second task was to incorporate Zentangles into a name plaque for themselves or as a gift for someone. Congratulations on your progress so far everyone! This past weekend I spent time with my fellow Rotarians at Echuca and Moama which are twin towns on either side of our mighty Murray River. The Murray forms the border of the States of Victoria and New South Wales. We stayed in cabins at the attractive Murray River Resort. 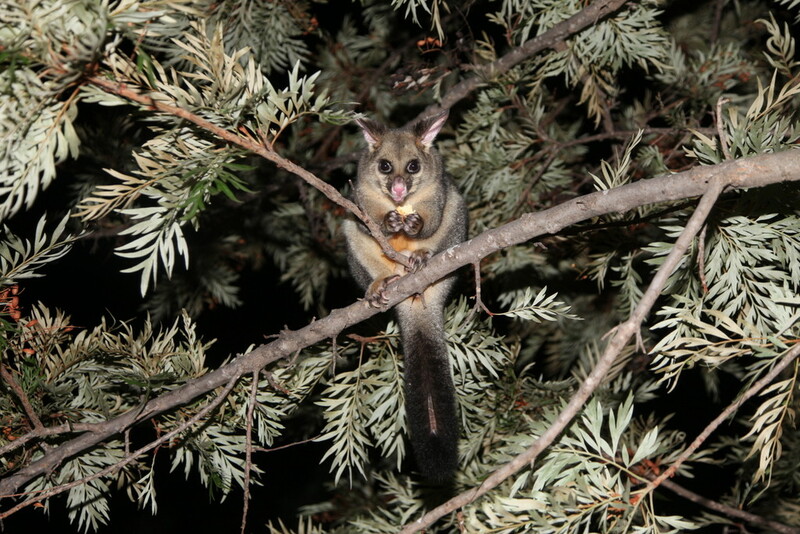 After dark a Brush Tailed Possum came boldly up to our outdoor dining table. 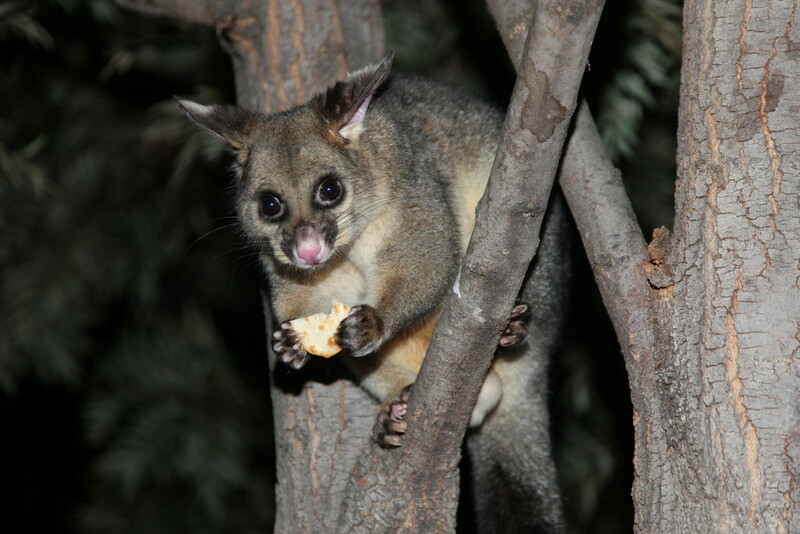 He was nibbling on a rice cracker and didn’t seem at all frightened by the camera flash. We realize that wildlife should not be fed or encouraged but it was hard to resist posting this photograph. Our weather has been very dry lately so, with very little fruit to be found, he may well have been asking for help. We hope you enjoy these close up shots. 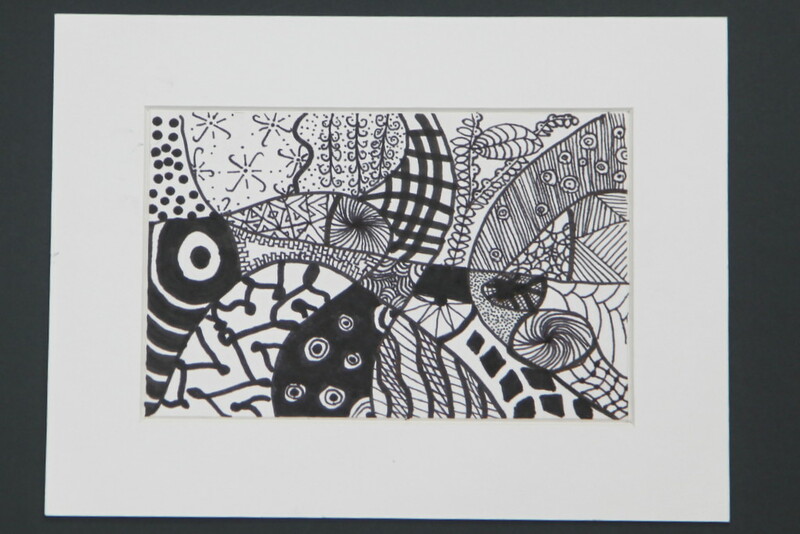 Our Grade 5 and 6 students are drawing Zentangles. Holly decided to give her work a Valentine’s Day flavour. We watched a great YouTube video (via Video Downloader App onto our iPad connected to our big screen TV) which had been uploaded by Cindy. Another good one was by Mara from Stamplistic. It’s really a pity that we need to go to all that trouble to show such inspirational videos to our students. Hopefully we will soon be able to log on using our teacher identity numbers and obtain easier access to these excellent resources . 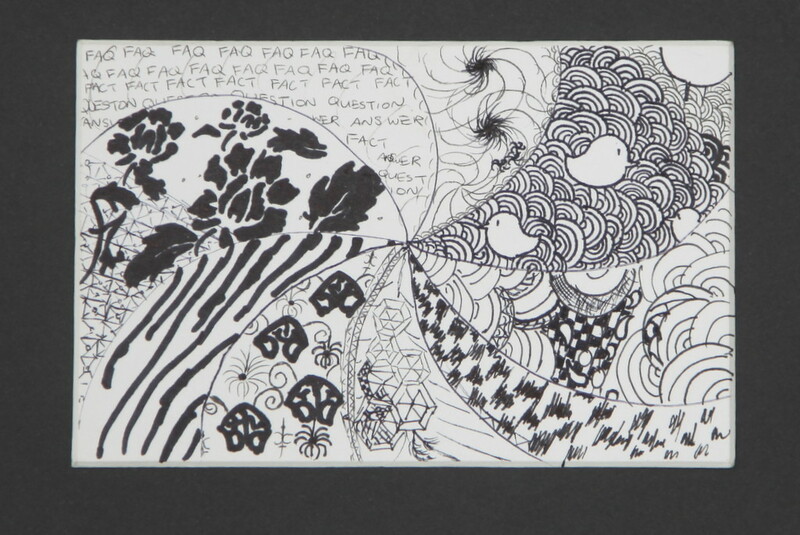 The “Kerry” name Artwork was done years ago by my older daughter Kate as a gift for her sister. 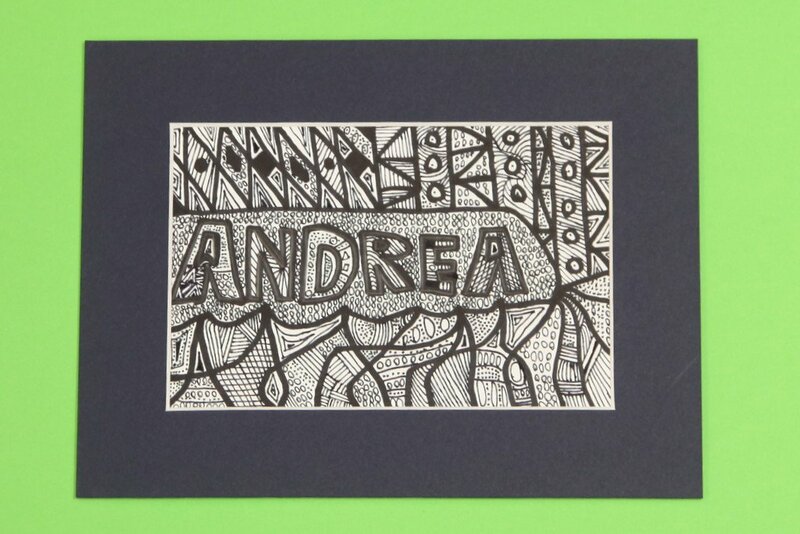 The blue framed Zentangle is by Andrea and the other, showing her individuality, is by Cindy. 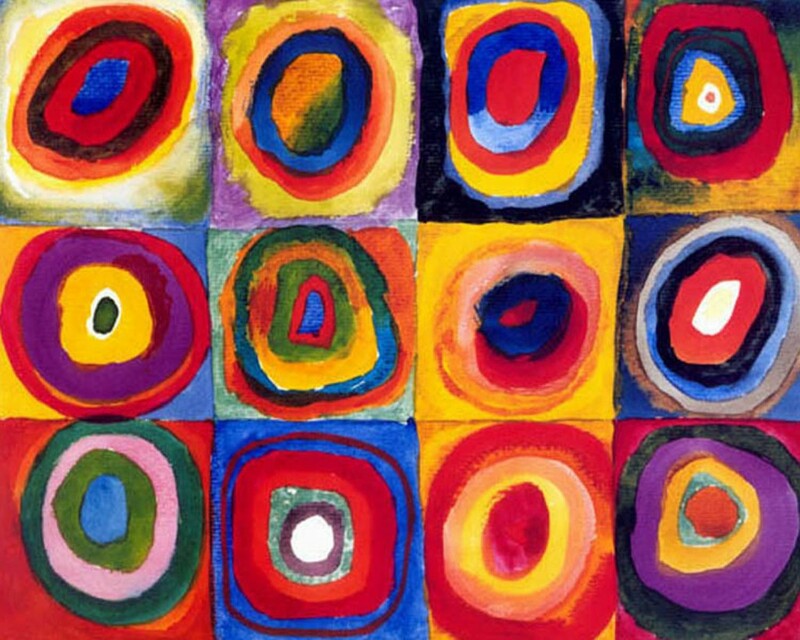 I am posting this Wassily Kandinsky artwork entitled “Colour Studies : Squares with Concentric Circles” to inspire our Grade 3 and 4 students. They will use oil pastels to create their own version of his work. Kandinsky (1866- 1944) is thought of as a founder of Abstract Art. It will be interesting to see the effects which the students will be able to achieve using our new packets of 48 colours of oil pastels from Zart Art. 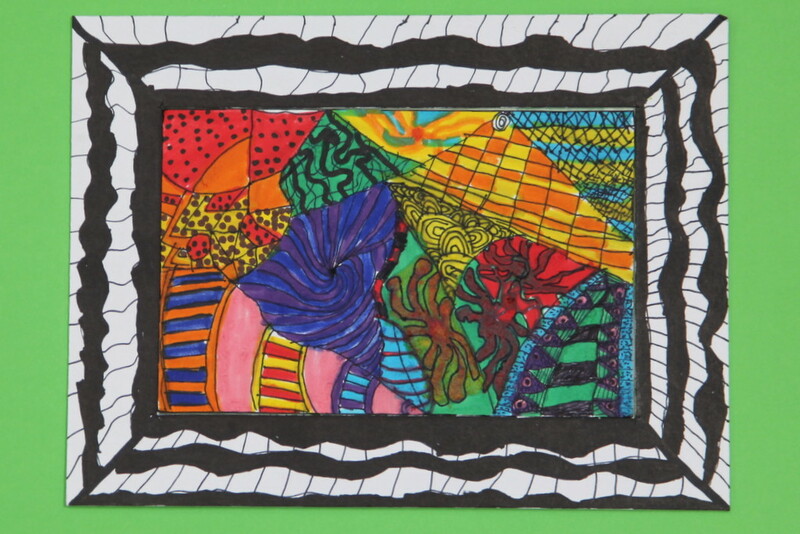 There are lots more ideas for Kandinsky inspired artwork on the Art Projects for Kids Blog. We enjoyed this great YouTube video which shows many of Kandinsky’s paintings set to music. We think they left the best until last.